800mm wide bathroom radiator with projected towel bar. 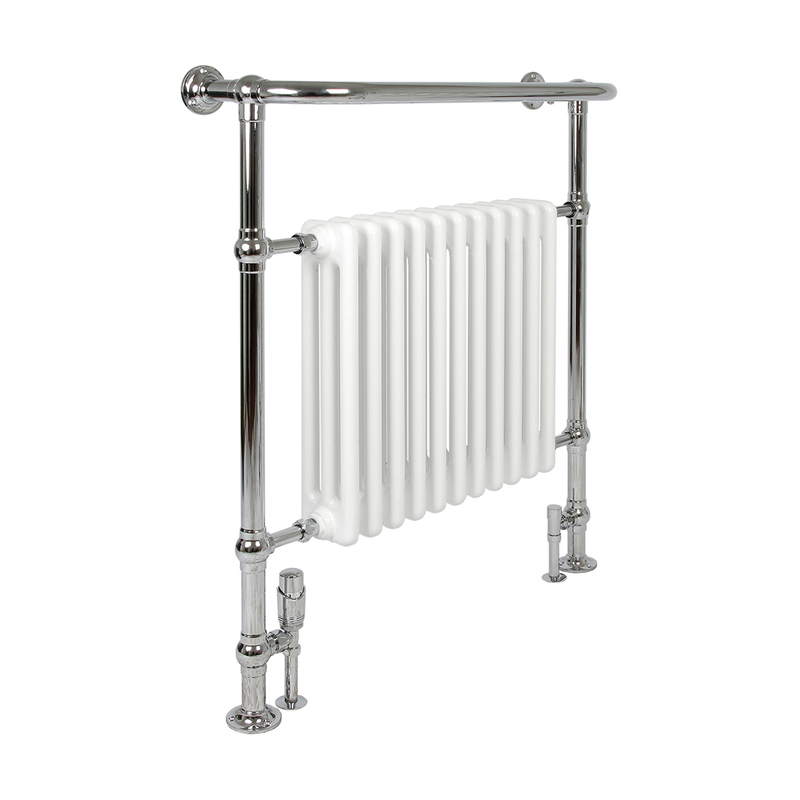 Column radiator insert with chrome frame. Made in Europe with a 10 year guarantee. Superior build quality bathroom radiator and towel warmer. 800mm wide, 952mm tall and 225mm deep. Chrome plated frame with white tubular steel. Made in Europe to ISO 9001:2008 and EN442.